The teenage years are plighted with those difficulties we so largely associate with the process of coming of age—including acne. But for most teens the trouble comes to an end after just a few years, and the light of adulthood is constantly at the end of the tunnel of zit-cream and blemished cheeks. As an adult with acne, there is no clear end in sight, and the realization that acne may be something you are going to have to deal with indefinitely can be extremely frustrating. 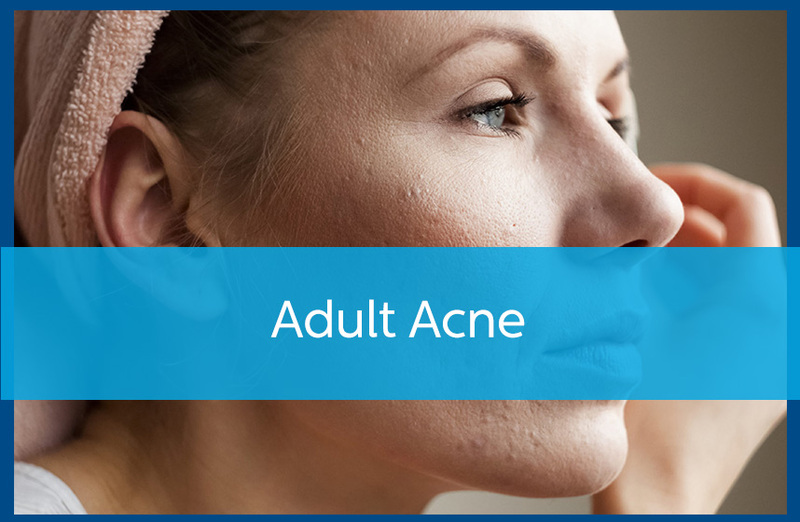 Adult acne could develop as a result of a variety of reasons, including everything from hormone fluctuations to stress. Just as during your teenage years, taking good care of your skin can go a long way in reducing and preventing outbreaks. However, when you are in the midst of balancing a busy work schedule with a chaotic household, going through those extra steps isn’t exactly easy. Hormone changes. Many women begin to experience acne when they are pregnant, or soon after childbirth. During pregnancy, medication options are limited, but you can still talk to your dermatologist about treatment options. Stress. This was a cause of trouble during adolescence and it is still a problem in adulthood. One of the issues that typically cause blemishes to develop as a result of stress is lack of sleep and self-care. Going a night without a cleansing shower, skipping a full night’s rest to get some work done, or even just the experience of stress itself can all lead to major breakouts. Product irritation. Another common cause of breakouts in adults is exposure to harmful skin products, including make-up. A great way to tell if this may be the cause of your problem is to consider when the acne began, and if there is any correlation with its appearance and your use of a certain product. As a teenager acne may have been the norm, but as an adult the problem is optional. There are treatment options that can tackle just about any acne situation. Contact your skin specialist at Avail Dermatology for more information and make an appointment today.